Ground is being gained in the longstanding battle to slow down erosion on Kaipara hill country and reduce sedimentation of the sensitive Kaipara Harbour catchment. The Northland Regional Council (NRC) has just completed the second year of the four-year Kaipara Hill Country Erosion Project (KHCEP). Targets have been exceeded, with 54 plans produced for high-risk farms, covering nearly 16,000 hectares. In addition, 48ha of pastoral land has been retired from grazing through recommendations in the plans. The milestones have been achieved with funding from Ministry for Primary Industries' (MPI) Hill Country Erosion Fund, from which the NRC received $666,000 in 2015. "These are encouraging results that are a credit to our land management advisors and the landowners they are working with," chairman Bill Shepherd said. It would still be some time before there was significant reduction of sedimentation in the harbour, he said. "This is a long-term project to right a long-term problem." With poplar trees considered the most efficient and economic tool for reducing hill-country erosion, 3840 poplar poles have been supplied to 39 Kaipara landowners. The KHCEP contributed $20,000 towards the poles. A further 138ha of high erosion risk land have Afforestation Grant Scheme (AGS) applications pending with MPI. These grants are for new forests as part of a programme to reduce soil erosion, improve land-use productivity, store carbon and improve water quality. In the last year, 85 Kaipara properties have received funding of $361,490 from the NRC's Environment Fund (EFund) for projects involving fencing of waterways, retiring steep and unproductive land, and planting riparian margins. Farmers have matched the council's 50 per cent contribution with payment or, more often, in-kind. Community groups, such as water catchment working group and the Integrated Kaipara Harbour Management Group (IKHMG) are also involved. 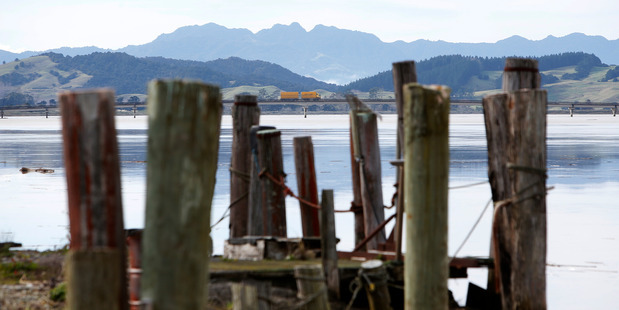 The NRC is also leading a two-year Kaipara Harbour sediment mitigation study funded by the Ministry for the Environment.